Week 7: We Make Movies! 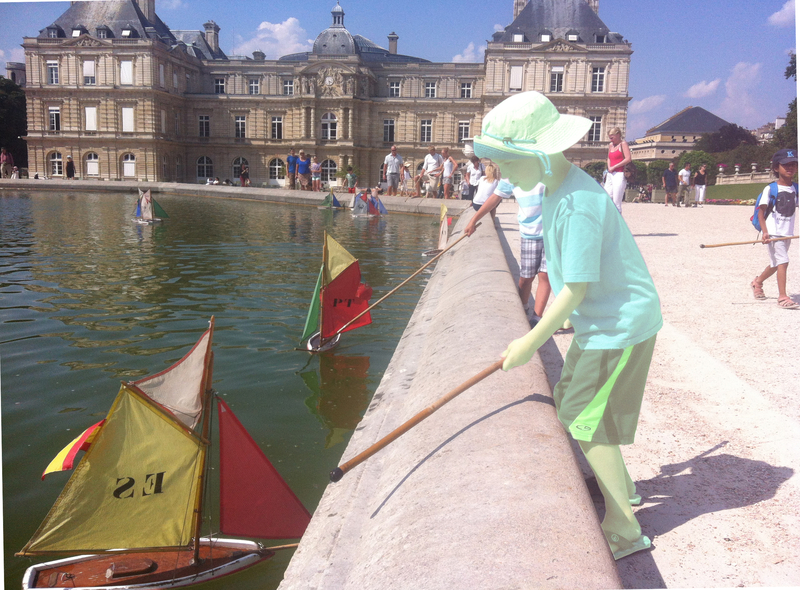 Little Boo sailing boats in Luxembourg Gardens, Paris. Mama Boo here, back from many travels over the past few weeks. Little Boo and I spent three weeks in Europe, and then I went to the U.S. for another short trip. We’re finally all back, and it’s time for our next week of computer classes. It’s the week I am especially looking forward to because it’s the one I have had the least practice doing: making videos. It’s time for these ghosts to up their trailer game and their video game for the next little while, before our reunion! Some of the family are already working on a big movie for our family reunion, and Ronald L has already given us an amazing family story in video, telling Ron Burgeron’s biggest secret. Let’s all join in the movie making! For this week, take a look at the section of the open DS106 syllabus called Making Movies. Be sure to read Video the DS106 way: try to give your videos opening title sequences and closing credit sequences, including any credits for images, music, other videos you have used (the credits are especially important for CC-licensed content you’ve used!). Did you know you can download YouTube videos pretty easily for editing? The DS106 site has a page with tutorials on how to do so. Mash a Movie for DS106: Like having fun in DS106? Think others would too? Why not make an ad for DS106 using video mashups with this assignment? Time Lapse Video: Take images of a project or an activity along the way as you do it/complete it and create a time lapse video to make it seem like it took mere seconds! Maybe someone should build a machine that senses alien abductions about to happen and blocks their tractor beams. Or try to build a time cycle like Ron Burgeron had! What’s Your Skills? All of us here at the trailer have some special skills. Make a video that shows them off! Doggie Boo has already shown off her floating skills in an early GIFaChrome image. for example. Public Service Announcement: Everyone needs to be on the lookout for strange goings on in Area 106, and for those pesky aliens. Why not create a public service announcement to remind us of these or other important issues? Inanimate motion: Make an inanimate object move, through taking a series of still images. Why this one for us here and now? Well, just because I think it sounds like fun! Let’s make some family videos before our reunion August 16! This entry was posted in Video and tagged computer class by Christina Hendricks. Bookmark the permalink.